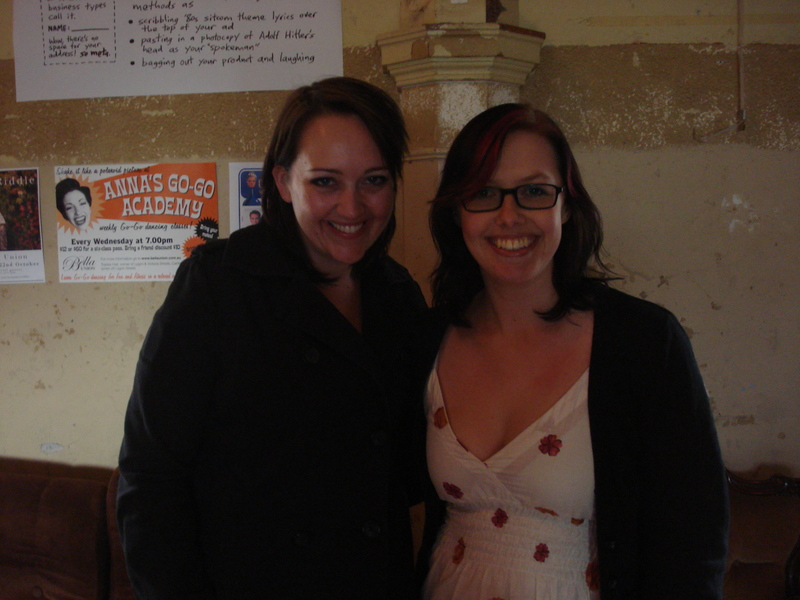 Pictured: Emily Maguire and I before the Sleepers Salon in October. I ask Maguire about the setting. Is it pertinent for this story to be set in Sydney? She says it probably could have been a few cities, but ‘western Sydney is – the cliché is ‘melting pot’, but it’s not very melty actually, it’s more like lots of different kinds of people clashing with each other. ‘Part of it is, Adam is an outsider, his expectations of Sydney are Bondi and beaches, sea water, all that side of it, and it’s not that, y’no?. But there are two universities near there so there are students, there are a lot of international students, there are a lot of immigrants, but it’s also partly, newly gentrified so you have wealth cropping up and – it’s a clash. ‘There were a few other places in the world, there are probably parts of Melbourne, there are certain American cities that have that too. But as an Australian writing, and as someone from Sydney, I think that particular area is the kind of place where you do get these odd mixes of people who have smashed into each other and are a bit stuck where they are and so you get these weird kind of friendships. I was really struck by how calm the character Katie is after she acts out, such as after she harms herself. Her calmness is what’s really confronting to Adam and the other characters. There’s a scene where she’s bald, barefoot and scarred, and she’s wearing a red dress ‘of a style Graeme recognised from his youth’, and a navy and white polka-dot apron. She is making Graeme dinner. It’s a very beautiful, sad and tense scene. I asked Maguire if she thought some readers might be confronted by the book, the way the other characters are sometimes confronted by Katie. ‘Yeah. It’s really interesting to me how different people relate to the characters when they read it – I feel like I learn a lot about them. Some people have said “she’s so irritating, she’s so self-indulgent”, which I think is partly true, but others have said “I love her, she’s great” – and I feel somewhere in between the two. I hope both things are true – that even though she is irritating and kind of self-indulgent, that’s the flip-side of what I think is lovely about her, which is the deep empathy and the way she doesn’t “mature things away”. She takes everything seriously, whether it’s a celebrity’s crisis, or cooking dinner – she really throws herself into everything – which can be trying, if you’re actually with someone like that’. Jane Eyre is Maguire’s ‘touchstone book’, but more for her as a person, than a writer. ‘It’s just a really important book to me … I just love it’. 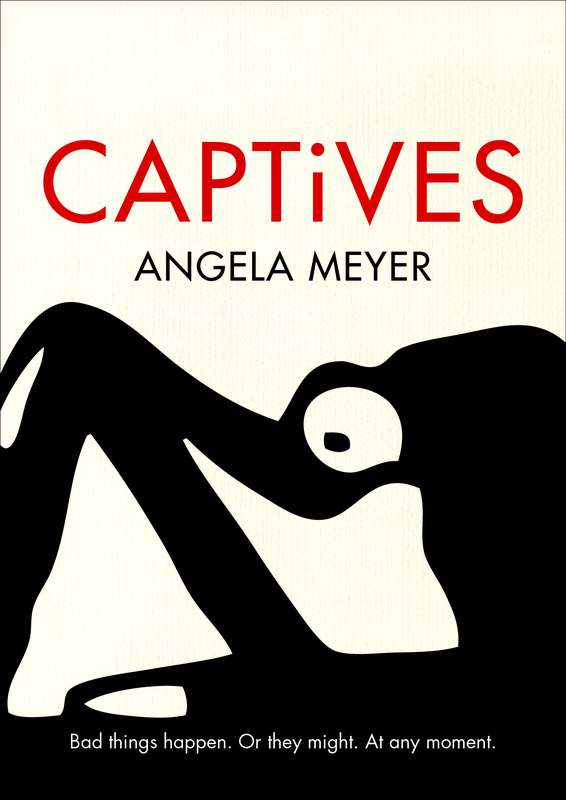 She also cites Nadine Gordimer – the South African novelist, ‘who is my idol in the way she can write about politics or political situations, but her novels are still really character-driven. You never feel like you’re reading a political novel, but it’s there. It’s South Africa and it’s the context of the lives of her characters. She’s wonderful’. After our talk, I watch Maguire in Q&A with Steven Amsterdam at the Sleepers Salon, and learn that at an early stage of writing this book, she suffered a stroke. What happened, was that she came back to the draft and found it somewhat ‘cold’. The book you read now has come about through a life-changing experience. And the characters have their own revelations – through circumstance, through inevitability, and through conscious decision. It’s sometimes up to the reader to think about just which of these things has affected an outcome (choice or inevitability?). And I’m sure Maguire would be able to see deep inside you, depending what you chose. You can find more details about Emily Maguire and her books on her website. 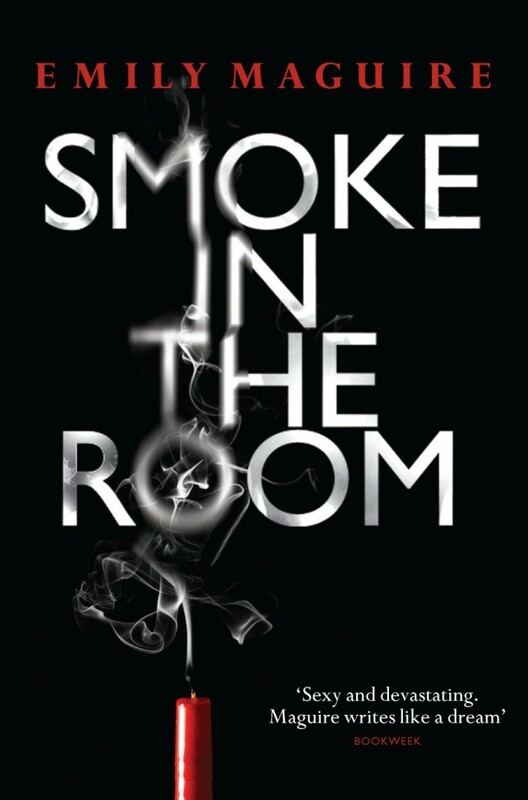 Smoke in the Room is published by Picador (Aus).